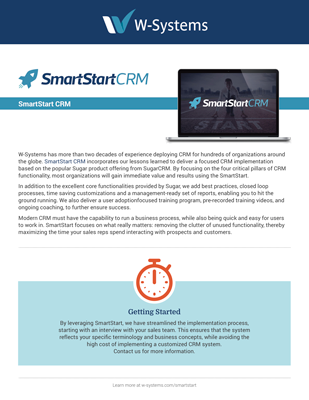 SmartStart CRM incorporates our lessons learned to deliver a focused CRM implementation based on the popular Sugar product offering from SugarCRM. 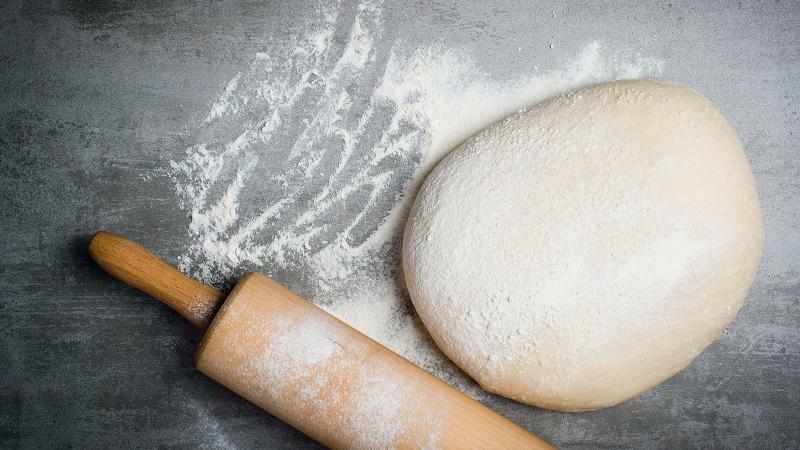 In addition to the excellent core functionalities provided by Sugar, we add best practices, closed-loop processes, time-saving customizations and a management-ready set of reports, enabling you to hit the ground running. We also deliver a user adoption-focused training program, pre-recorded training videos, and ongoing coaching, to further ensure success. Modern CRM must have the capability to run a business process, while also being quick and easy for users to work in. SmartStart focuses on what matters: removing the clutter of unused functionality, thereby maximizing the time your sales reps spend interacting with prospects and customers. SmartStart helps focus the sales team in their ability to continuously identify and onboard new customers, while ensuring that both sales reps and managers are aware of how well this business function is working. 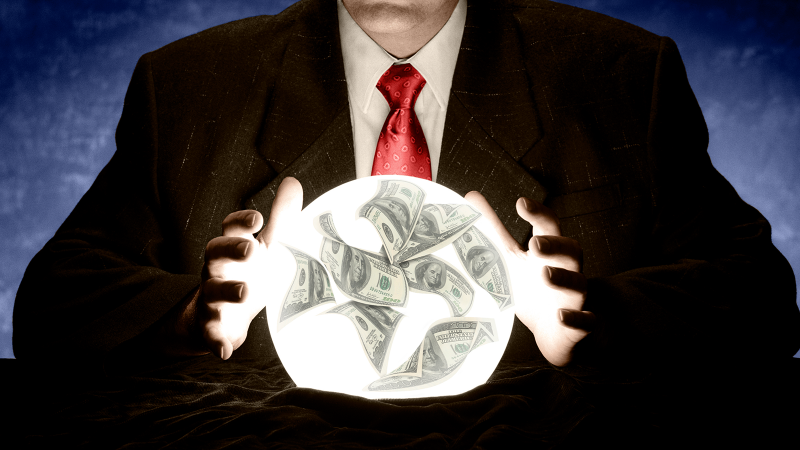 Where your new business is coming from. How long it takes to bring on a new account. Building relationships takes time, and SmartStart is focused on helping sales reps drive the relationship process forward, without dropping the ball. Setting the standards of how to manage existing customer relationships. 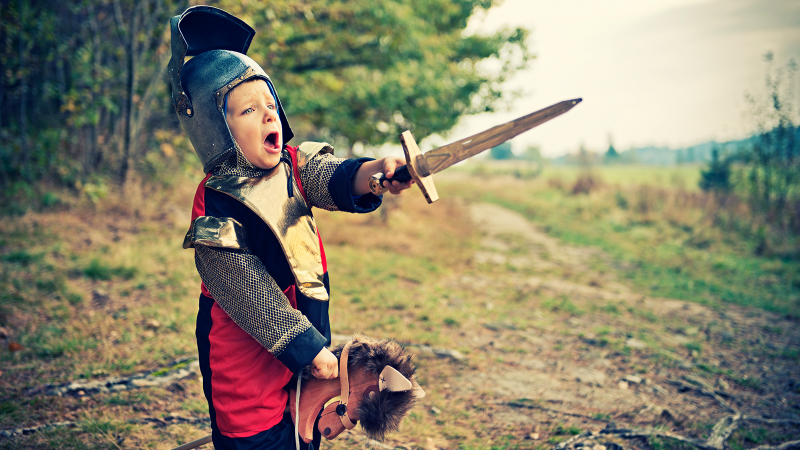 Puts necessary actions in front of sales reps. Provides reporting on how well you are doing and where you need to improve. Account management is about ensuring that you do not miss the opportunities or risks that inevitably arise in your relationships over time. SmartStart helps you to better organize your relationships, focusing the right amount of attention to the right types of accounts. Accounting for wins and losses. We guide account volume-driven sales organization through setting account revenue goals and incorporating sales revenue pipelines into the account management function. SmartStart delivers the pipeline reporting needed to run your sales meetings with consistent, high quality information. In order to maintain healthy relationships and sales pipelines, regular relationship communication via meetings, calls and emails is key. Enter interactions in Outlook, Gmail, on your mobile phone and at your desk. Make it easy to review the interaction history of a relationship, share this history with others and measure the volume of interactions by user and team. 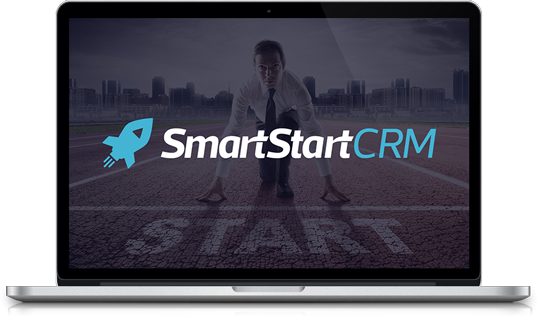 By focusing on the four critical pillars of CRM functionality, most organizations will gain immediate value and results using the SmartStart. Read our datasheet to discover how we implement our CRM solution.